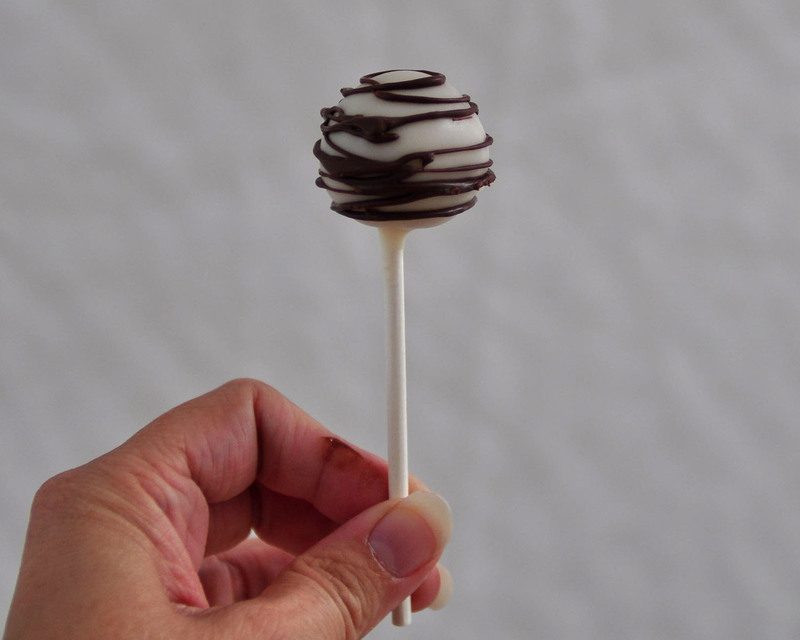 A friend recently emailed me to ask how to make the cute drizzle/swirl on the cake pops like you see here. It's really easy with the right tools. After you have made your cake pops, you may want to put them back in the refrigerator for a few minutes to firm up if it's a warm day, or if you noticed that they were at all wobbly on (or falling off of) the sticks. Tap the bottle on its lid a few times before you start. 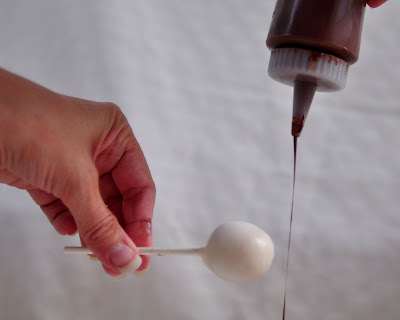 ...then twirl the cake pop under the stream of melted candy while you continue to squeeze. You can move the bottle in different directions to achieve different designs. Be sure you move the cake pop so that you get some drizzle on the top. 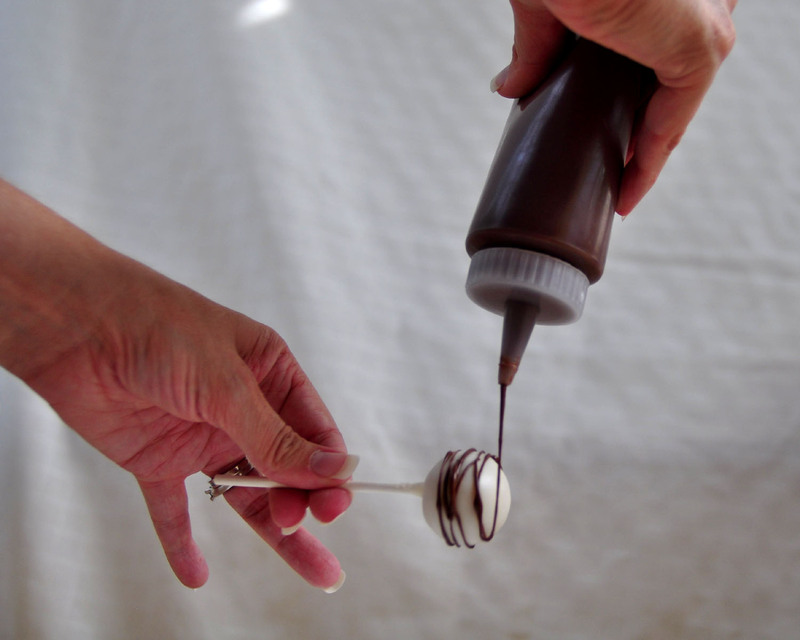 *Tip: Place the bottle on a heating pad set to low or medium between pops to keep the candy nice and liquid. If you don't want to buy the bottle, melt the candy (with oil) in a small dish, then pour it into a zip-top bag. The storage or freezer bags are better than sandwich bags because they can handle the warm candy better without melting the bag. Cut a very small hole in the corner to squeeze the candy out. Get the latest ideas from Beki Cook's Cake Blog. Click Here to Sign Up on the Email List.